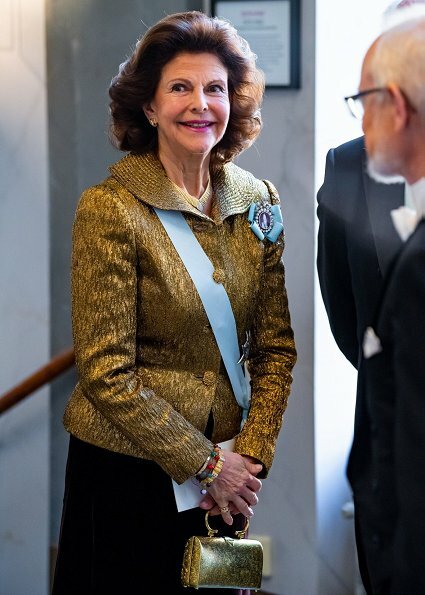 On March 31, King Carl Gustaf and Queen Silvia attended the Royal Swedish Academy of Sciences' formal gathering held at Musikaliska Concert Hall in Stockholm. 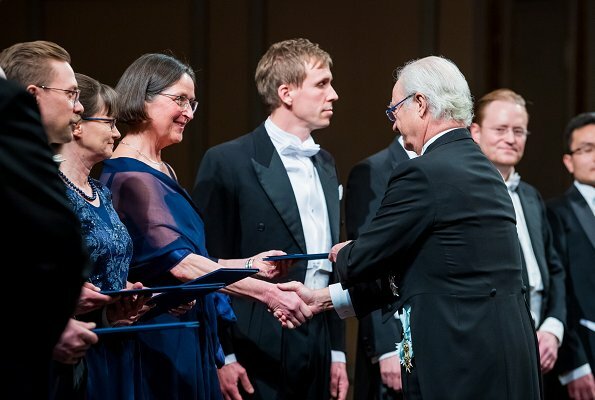 At that annual formal gathering, the year's newly elected members are presented and the Academy's representatives speak about the past year and some of the year's greatest scientific achievements are awarded. 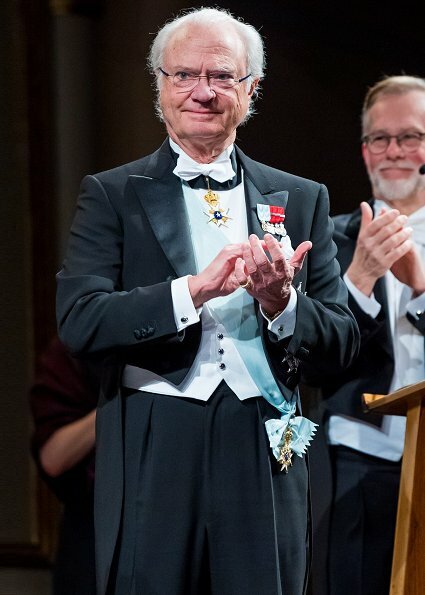 During the event, The King presented a number of prizes including Sweden's largest scientific research prize, the Göran Gustafsson Prize. She seems underdressed for the occasion, as opposed to her husband who is perfectly dressed. Agree, Mary. Not sure about the peplum style waist or the semi shawl collar. I do like the colour, though. Nice jacket but not wow factor. But her smile is nice. My goodness, the queen's smile and hairdo are the stars here - the fabric: not so much. Honestly, the jacket looks like it came from the drapery shop. 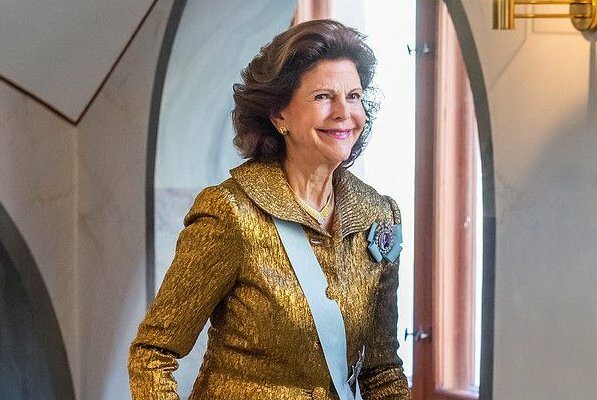 It is such a contrast to the one worn by Queen Sofia in today's photos. Coincido con la sonrisa y peinado!!! The Royal Couple always busy. Silvia's hair looks great.I may be stepping of the ledge here, but I think the King is due for a hair cut.? The King need a haircut!